I'm discouraged by what I see on LinkedIn. Many authors don't take advantage of LinkedIn's power to promote and market themselves and their books there. It's frustrating for me to see the big mistakes authors are making on what has become the second largest social network in the U.S, and the one that is perfect for authors and businesses that brand themselves with a book. LinkedIn is the best way to get you and your book seen and loved! You get much more visibility and credibility on LinkedIn than FB and Twitter. What Are Book Authors and Professionals Doing Wrong on LinkedIn? 25 year Book Coach, Judy Cullins helps you in business to write a "best seller" and build your brand with a short book to sell all the books and get all the clients you need. "Write your eBook Other Short Book-Fast!" "LinkedIn Marketing: 8 Best Tactics to Build Book and Business Sales"
I mentioned in the last issue that I was one of four women organizing a post-Thanksgiving craft show to raise $8,000 for a new classroom for Hannah's Hope, a school in Kenya. If we ended the day with a $4,000 profit, it would be a success by my standards. I guess I was naïve, because we actually generated $12,000! Wow! As a result, the organization that built Hannah's Hope has decided to add not one, but two classrooms! It was a pretty exciting day for everyone involved, but especially for Hannah's family. I had my own $4,000 goal for our "Have a Heart for Hannah's Hope Holiday Sale" because I'm big on goal-setting. It helps keep me focused on what's important. As someone once said, "Failing to plan is planning to fail." And then there's, "If you don't know where you're going, how will you know when you get there?" Please take time before the end of the year to establish professional and personal goals. I know from experience that having specific goals can make you more productive and satisfied. And who can't benefit from that? HARO - "Help a Reporter Out" - is a complimentary service that links journalists with sources. (There are now paid versions with extra benefits like "early alerts," too, but the original no charge version provides enough value for most of us.) It's a valuable resource for authors looking for that priceless news media exposure known as publicity. "You should call me. I know a lot about this." "I saw your HARO ad. If you're ever looking for a source about (insert random topic unrelated to query here), call me." "Read the article at this link for my opinion about this. Feel free to use anything from my article in yours." The title of the "query" you're responding to in your e-mail subject line. Every query has a title - for example, "Cheap, healthy holiday fare" or "How to keep employee morale up." Copying and pasting the query title into the subject line of your message helps the busy journalist organize and track responses. Your credentials. What makes you qualified to contribute to this article or segment? Why should the reporter interview you? In addition to summarizing your relevant expertise in one or two sentences, include a link to your bio on your website. One or two sentences to offer your perspective. Maybe it's your opinion, something counter-intuitive, or information that validates the article or segment premise. Try to offer a few thoughts that the journalist won't get from the many others who are responding. Be as specific as possible. Tips or advice when appropriate. If the journalist seeks an expert and there's enough information in the request to offer tips, use bullets to present three or four. Brief anecdote when requested. Sometimes, reporters are looking for anecdotes, not advice from experts. If you've got one to share, keep it brief and to the point. Contact information. This one is so obvious that it's often overlooked. Make sure you include your full signature with name, e-mail, telephone number, URL, and your book title. Finally, don't include attachments. While HARO responders can attach files to their e-mail responses, HARO doesn't pass those attachments along to the journalist. (Odd, isn't it?) If it's important to include the information, copy and paste it into the message. We're now accepting registrations for the "Book Publicity 101: How to Build Book Buzz" e-course that runs January 30 - February 24, 2012. Both sections - one for traditionally published authors and the other for those who have self published - emphasize the planning, strategy, tools and tactics needed to get - and keep - your book in the news so that you sell more books. (The course for self-published authors includes a section on how to announce a book's publication and generate reviews.) You'll leave the class with your own book publicity blueprint, tools you can use immediately to get media exposure, and a solid understanding of how to get attention in both traditional and social media worlds. The class is taught online in a forum format. There are no scheduled meetings or sessions - you work at your own pace according to your own schedule. For information on the original course, "Book Publicity 101: How to Build Book Buzz," go to http://buildbookbuzz.com/how-to-build-book-buzz-workshop/. For information and on the self-published authors course, "Book Publicity 101 for Self-Published Authors: How to Build Book Buzz," go to http://buildbookbuzz.com/self-published-how-to-build-book-buzz-workshop/. Sandra Beckwith is a former publicist who has won several national and regional publicity awards and teaches authors how to generate long-term media buzz for their books. She is the author of three books on publicity, conducts publicity workshops, and writes frequently on small business marketing and management topics. Please visit her book publicity site and publicity blog to learn more. Build Book Buzz is a free e-newsletter published twice monthly by Beckwith Communications. Please forward this newsletter to anyone. To subscribe, visit www.buildbookbuzz.com. We do not share our mailing list with any individual or organization for any reason. Need a writer's conference speaker or workshop presenter? Sandra's workshops at the American Society of Journalists and Authors annual conference, the University of Wisconsin Writers Institute, and at other industry conferences share priceless how-to information you won't get elsewhere. Contact her at sb@buildbookbuzz.com for more information. Writing a book? Website? Promotional Materials? Want to up level your already quality writing? Whatever we write, we need to share it with our peers or professionals for feedback before we present it to our paying audience. Getting writing feedback offers many benefits. Even though you know your topic well, you may have some old writing sins lurking in your copy. While a bit scary, if you can put your ego aside, you'll get valuable ideas from others to make your writing more clear and inspiring. You will learn how to identify your writing strengths and weaknesses, and you will develop your own writing style and voice. "Congrats on your bookcoaching.com site and your 180 blog posts. They are full of great information for professionals like me, and I really appreciate reading them! I'm working on so many projects at the same time my priority is to build my opt-in list, and create rapport, so my next step will be to use the connections I have on LI to send them my free report ( when it will be ready) and ask them their opinion and feedback. It is a sincere pleasure reading your comments!" You can exchange feedback with your peers via email or you can join a writing or book group such as the one I offer at LinkedIn, or get individual or group coaching. Remember, your writing must be easy to understand or it won't get read or sell. 1. Does the opening grab your attention? How? Is it clear? Is it engaging? 2. What syntax needs editing? (grammar) Are tenses consistent? 3. Does it use action verbs rather than linking (to be) verbs? Do the verbs advance the story and tighten the writing? 4. Does your piece show, not tell? Do you use senses of sight, sound, emotions, and touch? Does it engage rather than tell? Do you use creative non-fiction techniques such as dialogue? 5. Do you have redundancies that slow your writing down? 6. Does your writing use adjectives and adverbs too much? 7. Is it factually accurate? 8. Is it coherent? Does it flow and sound natural? Is it easy to understand? 9. Are the dialogues believable? Does it have enough dialogue? (think creative non-fiction). 10. Does the ending sum up or compel your reader to want to keep reading or take action? Over 25 years as a book coach, I've used this Oreo Cookie Method. You'll develop bravery and confidence if you use this wisely with a trusted writing coach or peers. And, you'll get great writing results that help you sell later. 1. First, give one general statement of the copy's strength and what grabbed you. Include one positive before you launch into correction mode. In any writing feedback group, you want to encourage new writers and make it safe to expose their mistakes. 2. Second, give more specific feedback in parentheses next to the sentence error. Or, give specific feedback on what to leave out and what to keep as "gold." Or, anything else that will make the writing better. We all want this one to keep our writing readable. Only readable copy helps you get readers and sales later on. 3. Last, Conclude with a positive and encouragement. If you want to strengthen your writing before your audience sees it, take some time to get some writing feedback. Pros and emerging writers need it. Do this before you get your final line edit. Now, make me smile and give me a comment! Remember, any journey is easier and faster with a partner. Choose the path that suits you. What one posts on a social media page may be relevant to claims being pursued by that person in court. Deleting this information during the pendency of a lawsuit could result in sanctions by the court. This is precisely what happened to Plaintiff Isaiah Lester, who sued Allied Concrete for the alleged wrongful death of his wife, 25-year-old Jessica Lester, who died when an Allied Concrete truck rolled onto her car. Apparently, before producing information requested by Allied Concrete, Lester's attorney, Matt Murray, instructed Lester to delete Facebook photos of himself holding a beer and wearing a t-shirt emblazoned with "I [heart] hot moms." Murray's assistant's email to Lester read "[w]e do not want blow ups of other pics at trial, so please, please clean up your Facebook and MySpace!" The court found that the deletion of the photos constituted misconduct by Lester and Murray, his attorney. Granting defendant's motion for sanctions, the court awarded a total of $722,000 to Allied Concrete for attorney fees. Of this amount, Lester was ordered to pay $180,000 and Murray ordered to pay $542,000. It remains to be seen whether the sanctions award will stand, as both sides are currently appealing the court's decision. Social media content is treated like other information that may be relevant to a case -- deleting potential evidence can be grounds for sanctions. For an article with more information about the case, go here. For more information about legislation or litigation involving technology, intellectual property protection of information technology assets or any other Information Technology law issue, contact your Miller Canfield attorney or the author. I didn't start blogging to make money from it. The thought never occurred to me. When someone suggested I start accepting advertising, I resisted. I thought some how it would compromise my integrity. If you want to blog as a hobby, fine. But art and money aren't enemies. In fact, in most cases the former isn't possible without the latter. Sell advertising. You can start small with any number of WordPress plugins (one major reason to use self-hosted WordPress). I started with WP125 and started selling small 125 x 125 pixel ads. 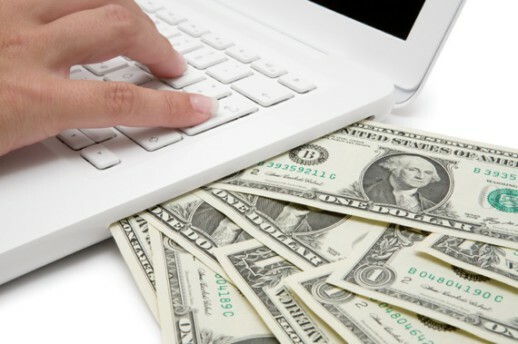 It generated enough income to cover my hosting costs and a little "fun money." As I developed momentum, I created a full-blown Advertising Kit for potential advertisers. I used Google Analytics to gather the key metrics and then conducted a Reader Survey to collect demographic and psychographic information. When my traffic got to about 40,000 pageviews a month, I applied to the Beacon Ad Network. It is an online service that manages your ad sales. You can charge whatever you want per ad, but they take a 30% commission. They specialize in the Christian marketplace. Their sister-company, BuySellAds.com, handles the general market. By the way, I have never used Google AdSense. I just hate the way it looks. However, it may have changed since I last evaluated it. If you are interested, John Saddington at TentBlogger.com has a terrific set of posts about AdSense. Promote affiliates. Here again, I started small. I signed up as an Amazon Associate and started using my affiliate code in my links to books and other products. (I disclose this at the bottom of each post.) I now consistently make $600–700 a month from these links. Later, I graduated to other products. For example, I promote Brett Kelly's Evernote Essentials: Second Edition whenever I write about Evernote. I do this with complete integrity, believing it is the single best place to start if you want to get up and running quickly. I am also an affiliate for various other products like: StandardTheme, Nozbe, and ScribeSEO. The key is to find products you actually use and you believe will be beneficial to your readers. My own rule is that if I don't use it, I don't promote it. If there is a product you are crazy about—especially an information product—it is worth checking to see if the publisher or manufacturer has an affiliate program available. You might also check Amazon. They sell way more than books. Sell products. A few years ago, I wrote an ebook called Writing a Winning Non-Fiction Book Proposal. I decided to turn it into a PDF file and sell it on my blog. (Here's how you can Create an eBook in Seven Steps.) It has sold consistently, month after month. In fact, I have yet to see a sales decline. Last year, I decided to write a fiction edition called Writing a Winning Fiction Book Proposal. It only sells about 50% of what the non-fiction one does, but it was still well-worth the effort. I also sell both books as a bundle. The best thing about selling products like these—especially digital ones—is that they work while you sleep. The whole system is turn-key. Customers buy the books, the system provides a download link, and then deposits the money in your PayPal account. Ultimately, I believe most of my revenue will come from product sales. I have several more ebooks in the works, based primarily on blog series I have written. 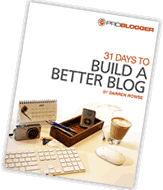 These methods are just the direct methods you can use to monetize your blog. You can also use your blog to generate leads for speaking, coaching, or consulting services—something I also do. They key to monetizing your art without selling your soul is to offer ads, products, and services that are congruent with your brand and will add value to your readers. Question: What do you need to do next to monetize your blog—or take it to the next level? You can leave a comment by clicking here.